Propharma Australia offers custom manufacturing and blending services for stockfeed, veterinary, pharmaceutical and food industries. Their Animal Nutrition manufacturing facility supplies high quality nutritional additives and supplements for livestock and pets. Custom feed and premix formulations involve contract manufacturing of speciality premix formulations such as vitamin and mineral premixes in liquid and powder form for all species of animals including primate, equine, bovine, porcine, avian, canine, feline, ruminant, monogastric and aquaculture. Custom feed and premix formulations are supplied for agri-businesses, feedmills, farmers and feedlots. 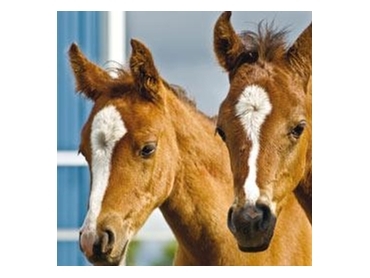 Concentration of sulphur containing amino acids is highest in the hoof and hair, which contain the protein keratin. Keratin contains 4% sulphur and is necessary for the maintenance of the skin, hair and hoof, helping to give strength and hardness to these protein tissues.